Dr. Chomsky helped young children learn the mechanics of reading, and by doing so gain greater social acceptance. Brilliant and accomplished, Carol Chomsky taught for many years at Harvard's Graduate School of Education and wrote oft-cited articles about how young children learn to read. And yet, she possessed talents that didn't easily fit on a curriculum vitae. "She was a pretty remarkable person," said Judith Chomsky of Philadelphia, who is married to the younger brother of Dr. Chomsky's husband, Noam. "She was very athletic, and, until she was ill, she was fishing and water skiing and doing things people wouldn't normally associate with her. She played the accordion. She could fix a car. She was mechanical. I mean, she was the one who fixed everything at the house." Through her work in language development and psycholinguistics, Dr. Chomsky also helped young children learn the mechanics of reading, and by doing so gain greater social acceptance in their classrooms. Dr. Chomsky died of cancer yesterday at her Lexington home. She was 78. 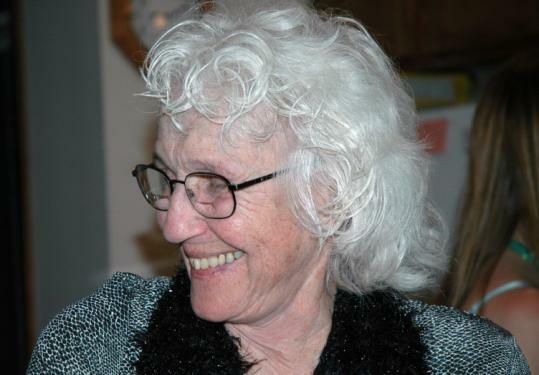 "She was a very upbeat, happy kind of a person," said Sylvia Schatz of Burlington, who is Dr. Chomsky's sister-in-law. "She was also a very giving person, of herself and of her thoughts, of her ideas, of her suggestions. And she was very generous, both in material things and with her support and help in many ways." Among Dr. Chomsky's duties was, at times, acting as a de facto gatekeeper for those seeking access to her husband, a linguistics professor emeritus at the Massachusetts Institute of Technology whose writings and political activism made him famous in ways neither of them could have imagined when they married in 1949. Take two years ago, when Hugo Ch? ?vez, president of Venezuela, held up one of Noam Chomsky's books during a fierce speech at the United Nations, turning it into an overnight bestseller. Dr. Chomsky fielded phone calls at their house and kept reporters at bay. "Everyone wants to know what his reaction is," she told the Globe in September 2006. "And that's on the level of gossip and of no consequence at all." Of consequence was her work, her family, and her friends. Carol Schatz grew up in Philadelphia, and her mother taught at a Hebrew school where Noam Chomsky's father was principal, she said in an e-mail interview with The Pennsylvania Gazette, a publication of the University of Pennsylvania. Because of the family connection, she met Noam when she was 5, but they did not date until they were attending the university. "I loved it there," she told the Gazette. "I found my interests; had many excellent, even wonderful professors; and looking back, received a quite satisfactory intellectual grounding." A New Yorker profile of Noam Chomsky in 2003 noted "Carol was then, as she is now, small and slightly built, though her hair was shorter - now white, it grows nearly to her shoulders. She decided in her teens that she disliked wearing lipstick, and she has stuck to that." The Chomskys married in 1949, and she graduated from the University of Pennsylvania with a bachelor's degree in 1951. A couple of years later, they tried living on a kibbutz in Israel. "When they were young and they were on the kibbutz, she wanted to drive a tractor or be a mechanic," Judith Chomsky said. "Now, the kibbutz wasn't quite ready for that. It was way before there were even words about women's rights." For various reasons, the Chomskys decided not to stay. They ended up in the Boston area, where he joined the faculty of MIT and they raised their three children. As Noam Chomsky's political activism raised the possibility that he could end up spending time in jail, he and Dr. Chomsky made a decision that set the course of her professional life. Carol Chomsky went back to school and received a doctorate from Harvard, writing a dissertation on early childhood language acquisition. Sylvia Schatz, who was a teacher, said, "We shared a lot of common concerns about kids and their learning." Dr. Chomsky's work helped children who were having difficulties learning to read to experience life-changing moments in their classrooms, Schatz said. "Not only did it help the kids with their learning, but it also gave them a great sense of accomplishment," Schatz said. "She not only contributed the mechanics of how to read, but brought them out so they felt accomplished and were recognized in the classroom, where before they had been considered the low end. That is very hard for little kids." Although Dr. Chomsky and her husband both taught in the field of linguistics, she cautioned against assuming that their scholarship intertwined. "It's a very different sort of linguistics from Noam's pursuits," she told The Pennsylvania Gazette. "I always have to laugh when people talk about how interesting our dinner-table conversation must be since we're in the same field." During summer visits to Wellfleet, Dr. Chomsky taught her grandnieces and grandnephews how to cook hamburgers on a rock that had been heated and how to glide across the waves. "One of my granddaughters," Schatz said, "found a picture of Carol teaching her to windsurf on a pond in Wellfleet." In addition to her husband and her sisters-in-law, Dr. Chomsky leaves two daughters, Aviva of Salem and Diane of Mexico City; a son, Harry of Albany, Calif.; a brother, J. Leonard Schatz of Burlington; three grandsons; and two granddaughters.